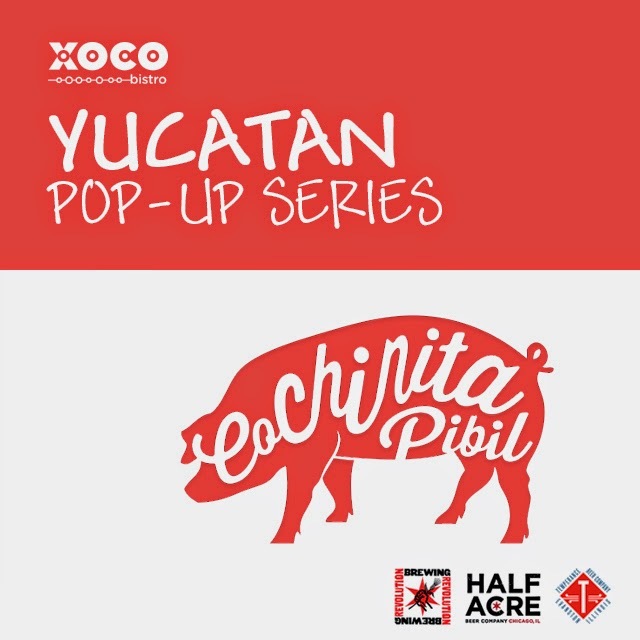 This spring Rick Bayless' latest restaurant, Xoco Bistro, announces the “Yucatan Pop-Up Series” to some of Chicago's favorite breweries for a three-course dinner and beer pairing. inspired by the Yucatan, where the flavors of achiote, citrus, smoke and habanero prevail. in our wood-fired oven, and topped with black beans, pickled red onions and habanero salsa. dessert. Each brewery will feature a beer for each course.